I've been busy all week finishing up my quilt for the fab little quilt swap. after looking at it on the design wall for a few days I finally sewed it up on saturday - ready for quilting on sunday. 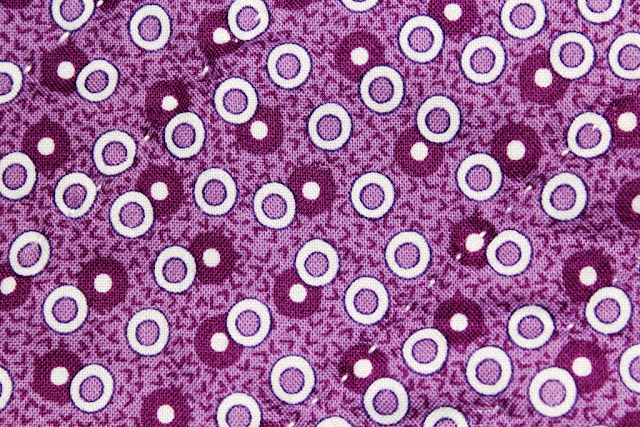 I decided on hand quilting with perle thread and using a Kona solid called crocus for the backing and binding - after quilting a few lines I checked the back and discovered that some of the stitches hadn't gone through all the way which really stuck out like the proverbial with this fabric ! so I unpicked the stitches and replaced the backing with a spotty purple fabric that wouldn't show the stitches as much - a way better idea ! then made some magnets as well. 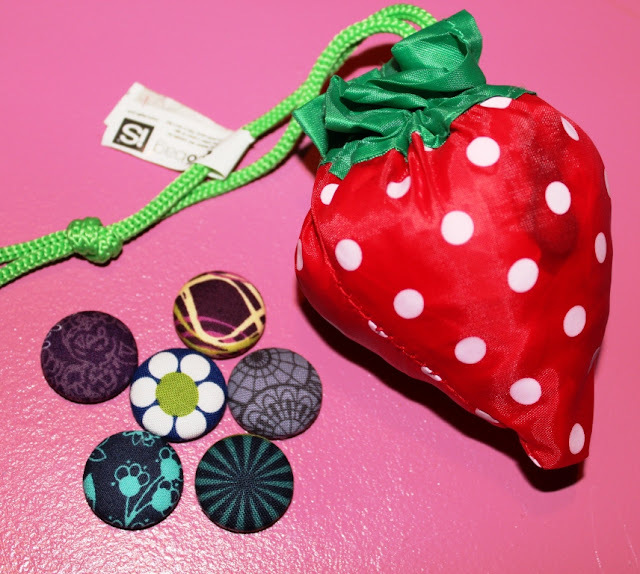 I also sent a tote bag that scrunches up into a little strawberry bag - my partner loves anything to do with strawberries ! I really love how the quilt turned out - I was very hesitant with my original fabric choices but its amazing how they've really popped mixed with some white. I went searching to see if I could find a name for the block design and found out that its called "depression" which I figure is because its from the depression era as it would be a great block to make use of scraps. Its on its way over the big seas and hopefully to a new owner who will love it as much ! 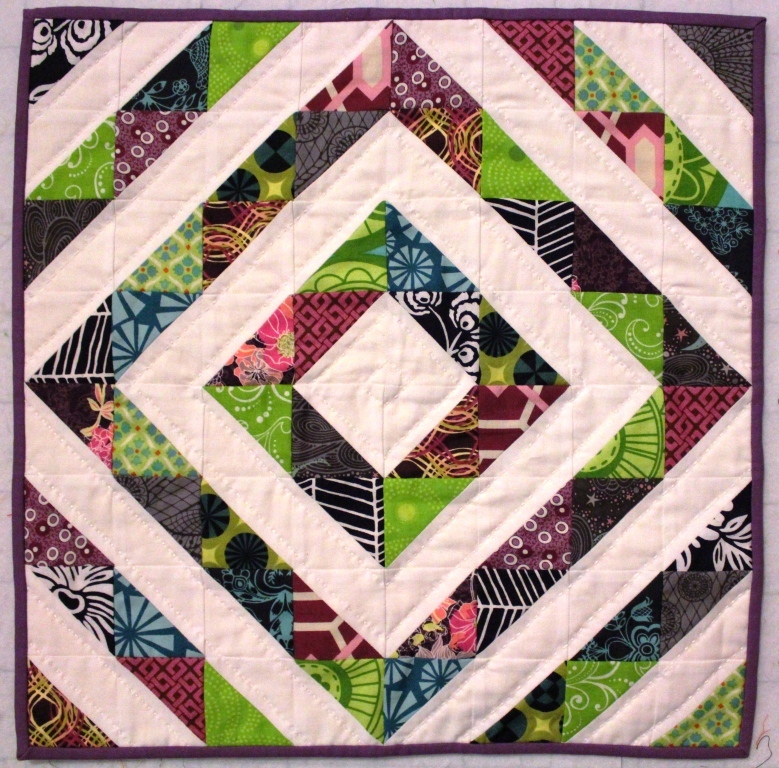 so now onto getting some swap blocks done and also starting on the totally groovy quilt along which is about to finish up ! Love your little quilt! And a good tip to share about the backing - been there, done that. It's a darling quilt Leanne! You're sure right about the effect of the color against the white solid. Love the lime in it. It's nice that you took the time to do some big stitch quilting by hand. It adds to much to the finish. Depression" sounds so sad, especially when I have no doubt your swap partner will love it, and NOT feel depressed about it! 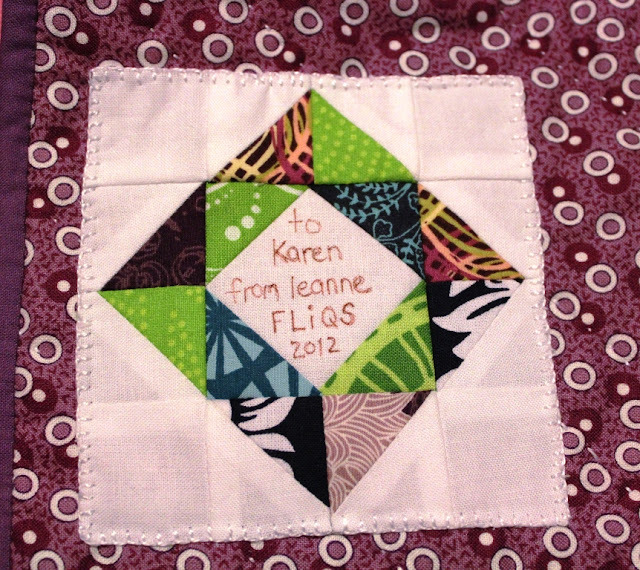 That fab little quilt 21 Sep was wonderful. It looked so fresh with the "jungle" colours providing a soothing background. Like looking through a window onto y/our garden. Hi Leanne - I guess I should have checked your blog as I would have been very excited to see "Karen" was who it was for. I love the quilt you made me - the colours and fabrics are amazing and the hand quilting is beautiful. 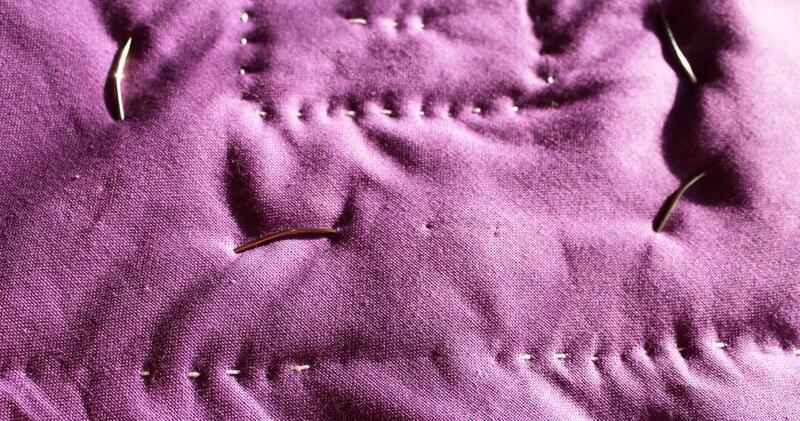 The light purple binding is perfect too. I love the magnets and the strawberry bag is so much fun. Thank you from the bottom of my heart.